The Schereschewsky Hall (懷思堂), fondly called S.Y. Hall, built in 1894 and named after Bishop Samuel Isaac Joseph Schereschewsky, was the oldest building on the campus of St. John’s University in Shanghai, China. A combination of Chinese and Western architectural elements, the company Atkinson & Dallas, Civil Engineers & Architects added flying leaves and the clock tower to reflect the University’s core value in bridging cultures. In 1929, a memorial arch, donated by the gentry of Tsao Ka Doo (曹家渡), was built in the front of S.Y. Hall. The arch was destroyed by Red Guards during the Cultural Revolution. 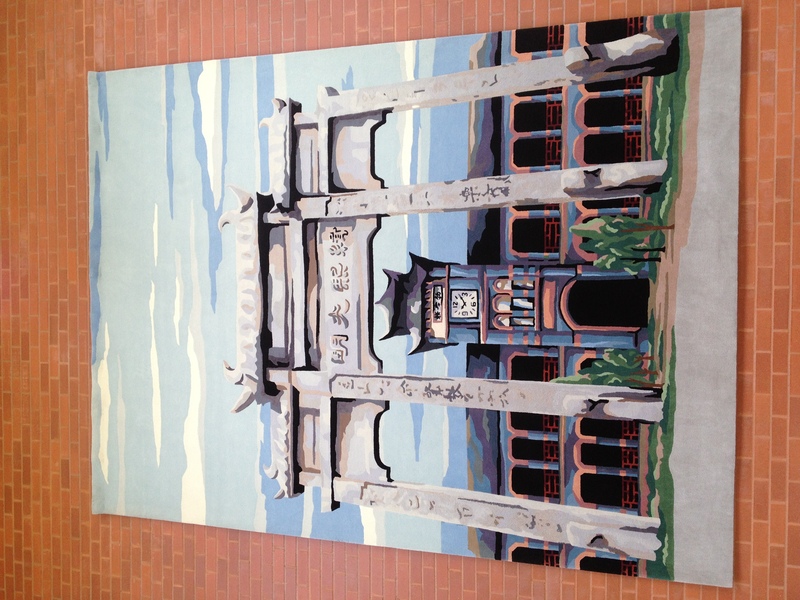 The arch was restored in 1992 as one of the highlights of the Third World Reunion of Johanneans, which was held by the Shanghai chapter of St. John’s University Alumni Associations (SJUAA). 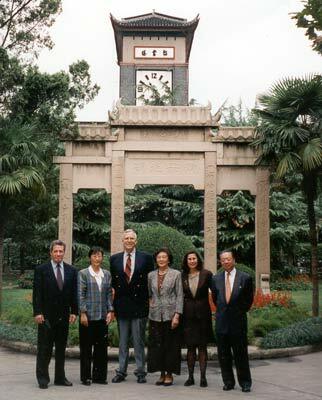 In 1999, the Fourth World Reunion of Johanneans was held in Vancouver to celebrate the founding of St. John’s College UBC through the generous donations of the Johannean alumni of St. John’s University in Shanghai. Written by Johannean T. F. Ying, Class of 1943, MBA Economics 1944). Edited by SJC Junior Fellows Kristof Kessler (MLIS 2013) and Dawn Wong (MLIS 2013). 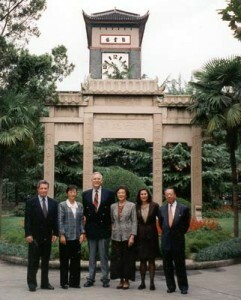 Original Arch at St. John’s University, Shanghai. 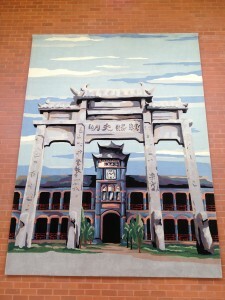 Tapestry in SJC Alumni Hall.